Hanoi (VNS/VNA) - Original photos and videos featuring the wonderful landscapes of Vietnam and interesting life stories of its inhabitants are on display at a new exhibition in Hanoi. The Go Explore Vietnam Immersive Art exhibition presents a selected collection of photography and videography artwork, featuring different destinations across Vietnam to create an immersive art space, combined with diverse visual and sound effects such as lighting, experimental/electronic music and art performances. “We want to bring the image of Vietnam as well as the Vietnamese people, art and cultures closer to the world through creative photographs and videos. Through this art and cultural event, we want to create a chance for everyone to experience art, including both art lovers and the travel community,” said Huong Nguyen, a travel blogger and founder of the exhibition project. It comprises three main art spaces: Landscapes of Vietnam, Humans of Vietnam, and Life in Vietnam. Visitors can admire landscape photography featuring gorgeous travel destinations in Vietnam shot by drone cameras, portraits of Vietnamese people, photographed by international artists who have travelled throughout the country; and typical daily life in the country’s various regions, reflecting a mixture of traditional and modern influences. Sound and visual elements take visitors to different places across Vietnam. They can better discover interesting stories of the life and people in Vietnam through the filming of scenes and photographs. The exhibition display artworks by Vietnamese and international artists from different countries, including well-known French photographer Réhahn. He was ranked one of the top 10 portrait photographers in the world and the second most popular French photographer on the internet, having been to over 35 countries and is currently living in Hoi An city. “I’ve been in almost all provinces in Vietnam to take photos and show others how beautiful the country is. 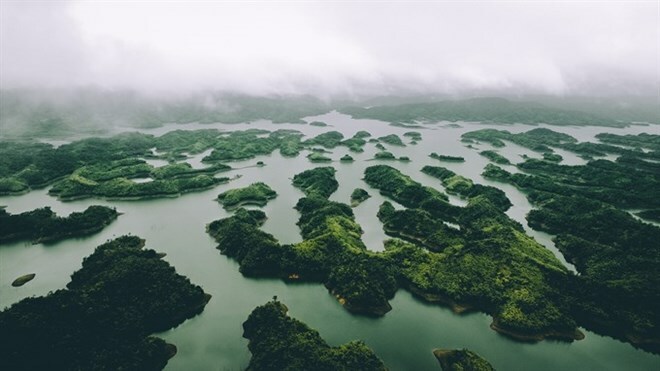 The more I travel, the more I am proud of living in Vietnam,” said 24 year-old Pham Phu Nghia who brings to the show several photos of Vietnam taken from above. This exhibition is a part of Go Explore, a non-profit community project aiming to promote Vietnam’s tourism, art and culture. The project was launched by travel bloggers and videographers, local companies and travellers across Vietnam. Go Explore’s team has travelled around the country to produce 10 short videos promoting 10 destinations, photos and articles to market Vietnam tourism in a fun, and creative way. They have also organised three travel-themed events in Ho Chi Minh City, Da Nang, and Hanoi to encourage Vietnamese people to travel more, and guide like-minded travellers on how to combine their passion for travelling and working remotely.